Do you ever see those amazing looking breakfasts parfaits at trendy brunch places? Well you don't need to go out of the house to have this, you can so easily make it yourself. It looks impressive, tastes amazing and you can make it in a few minutes. The perfect addition to a family/friends brunch or a nice treat to yourself before a work day. And you know me: no added sugar, just pure ingredients and a little love. This recipe is as easy as 1, 2, 3, but it's really all about the presentation. Start by adding the vanilla seeds to the quark and stirring it well. You don't need much vanilla at all since the flavour is strong, but it will make the parfait flavourful and taste more like a dessert. Now you're ready to combine everything! 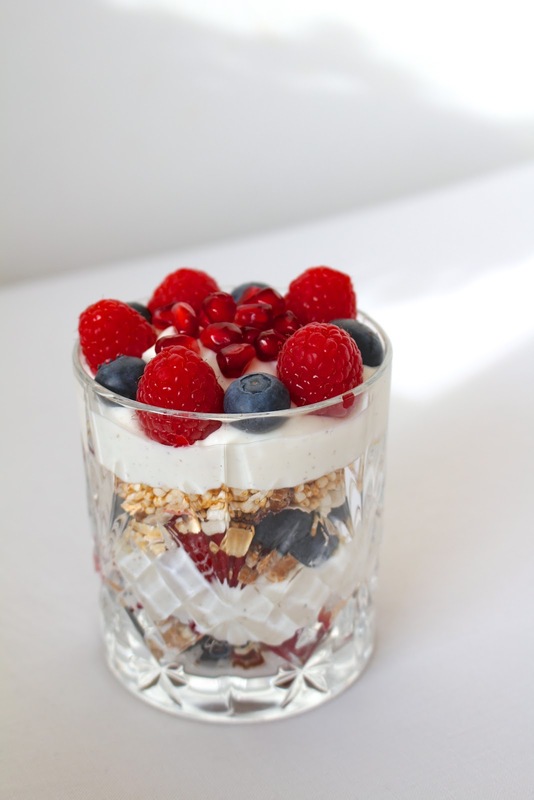 Take your glass and start by adding a layer of berries at the bottom, top with some muesli and add a few spoonfuls of your vanilla quark. 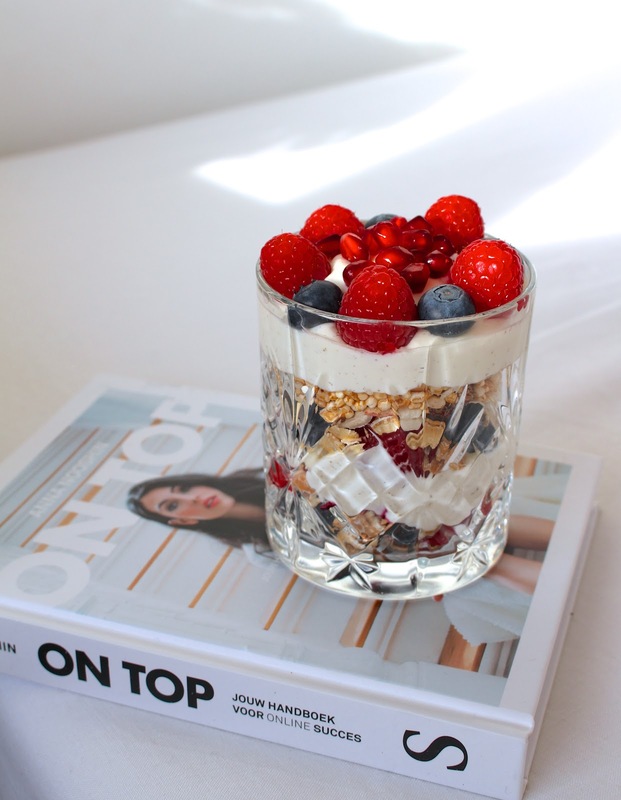 Continue doing this until the glass is full and end with quark + berries on top. You could also do this in a bigger glass bowl but I think these individual glasses look nicer. Especially if you're having a brunch at home, this will for sure impress your guests. Make sure to make this a-la-minute because otherwise the muesli/granola won't be crunchy anymore. Enjoy! On a different note, I've started to read Anna Nooshin's new book 'On Top', I really can't wait to read it all. I'm off to read my book now! 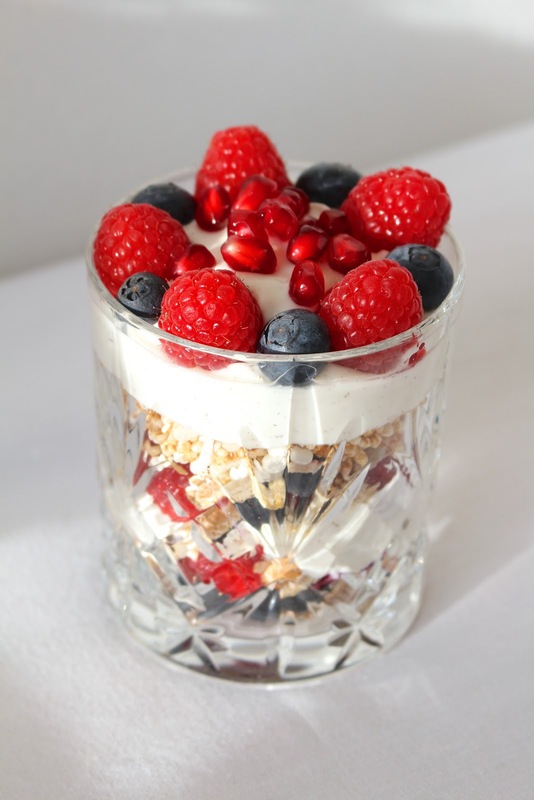 Have a great Sunday where ever you are and enjoy your breakfast parfait when you make it! ps. Happy mother's day to all the real superwomen in the world!